CLaw’s lunchtime practitioner speaker series is back! Join us on Monday, February 25, 2013 as we welcome Amy Thomas from the Ottawa Intellectual Property firm, Macera & Jarzyna LLP/Moffat & Co. Amy will be presenting a workshop on the ‘Art’ of IP, highlighting interesting “art” aspects of intellectual property law. To give you a taste of what to expect, CLaw caught up with Amy to ask her a few teaser questions about life as an IP lawyer. CLaw: You come from a unique background, architecture. What made you decide to go into law from the arts field? AT: Law is a great field for any background. I wasn’t ready after graduating from architecture school to go out into the world so law seemed like a good fit. Part of me thought that I would do construction law or maybe patents to help inventors and designers protect their work. I ended up doing trademarks! CLaw: With an arts background, it can be said that you have been in your clients’ shoes – what do you think is one of the biggest legal pitfalls of being an artist and designer. What is one of the most common hidden legal entrapments that many artists are not aware of? AT: Probably the biggest pitfall for an artist is to not pay attention to the business side of things. Getting the proper intellectual property protection in place for a business is vital. Big issues are protecting the name of the business with a trademark, getting copyright registrations for works that you plan to sell, and applying for a design registration for an industrial design within the one year statutory window for public disclosure (otherwise the rights are gone). One issue that is important for artists or designers, particularly as many artists and designers are sole proprietors, is to get incorporated. If the designer or artist is sued and they are not an incorporated business, the damages can come out of their personal property, i.e. house, car, etc. CLaw: What does IP mean to you? What, in your words, does an IP lawyer do? AT: Intellectual property is a growing field with many areas of specialization. An IP lawyer may choose from litigation, copyright, licensing, trademark prosecution, patents, industrial designs, teaching, managing international patent and trademark portfolios of large companies . . trade secret law and advertising and labeling laws, domain name dispute resolution are part of it too. CLaw: Do you consciously try to intersect the arts with your legal career? Is the law able to satisfy your sense of creativity? Are you still active in the architecture community? AT: No. Yes. No. The arts come and go in my work depending on the subject matter of the file. Sometimes it’s about licensing artwork for clothing, sometimes it’s about comparing logos or the substantial taking of an art piece or even computer software. The subject matter is the artistic part. The law does satisfy a sense of creativity in the literary sense, i.e. crafting a great affidavit or written argument, or finding the case that matches up just right, or coming up with an “outside the box” idea in order to win. CLaw: What is it like working in a boutique firm environment? What advantages and disadvantages do you think this environment involves as compared to working in a large firm? AT: In a smaller firm you get to know everyone. Being able to knock on a colleague’s door and get a quick answer or a new perspective on an issue is great. Bringing in business at a small firm is important too. This in turn creates the opportunity to develop the kind of practice and clients that you would like to have. CLaw: Any advice for students looking to enter into the IP field, especially those without a science background? AT: There are numerous lawyers without a science background who are doing IP. They’ve come to IP from the government, or having experience working for copyright collectives or in the music industry, going in-house at a corporation and ending up in the IP department there, or by developing clients who need IP protection. Joining a big firm that does a rotation in different areas will expose you to IP as one of the rotations – many non-science people get into IP this way. For patents and trademarks, there are qualifying exams. So one way to get in to the field is to pass these exams. CLaw: “Balance” is the essence of IP law. How does this translate in everyday practice? AT: True enough. The government gives a monopoly over the intellectual property for a limited time in exchange for disclosure of the invention, design, or art piece so that the public can benefit from its teachings and encourage progress and creativity at large. In terms of everyday practice, it is surprising which inventions take off, and which ones don’t, and how something that appears really novel and inventive has already been done, or a name is already taken or is too similar to someone else’s. Sometimes the Canadian Intellectual Property Office is not prepared to grant the requested protection and lawyers have to argue around the objections. This balance is what gives IP lawyers their daily living. CLaw: Give us some teasers for the upcoming “Art” of IP workshop! AT: What is the real value of a Coca Cola can? How do you get an original signature from a celebrity? Can music, smell, or colour be a trademark? Come on Monday and find out! Space for the workshop is limited. RSVP now to: admin@creativelawsociety.com or on Facebook. Your spot is not reserved until you receive a confirmation e-mail. Amy Thomas comes to the field of law from a background in architecture. She has a Bachelor of Architecture degree from Carleton University and a law degree from the University of Western Ontario. Amy’s law practice encompasses trade-marks, industrial design, copyright, litigation and contract drafting. Amy enjoys sharing her experience in intellectual property law and has given presentations at the National Franchise and Business Opportunities Show, Ottawa Chamber of Commerce, eWomen’s Network, Business Network International, Inventors Association (Ottawa), among others. Amy has also written several legal papers and articles published in the Intellectual Property Law Journal, The Lawyers Weekly, Canadian Architect and the International Trade-mark Association Special Reports. Michelle and Kat are in Ottawa, volunteering at the Art + Law National Conference for Arts Lawyers and Visual Artists, and will be live blogging the event. Refresh for new content. Also check us out on Twitter. Friday, 12 pm – Carfac, the organization that has set up the conference, is a national non-profit that protects the rights of professional visual artists. Michelle and Kat are both legal interns at the association. The conference ”will bring together lawyers with experience in arts and entertainment law, ranging from copyright and contract law, to estate planning, tax, labour, and more”, along with Canadian artists. Friday, 12:25 pm – Today, the conference involves a series of events for lawyers: keynote by Henry Lydiate, presentations of case studies on artist legal clinics, then breakout group discussions on the future of artist legal clinics. Registration has started and some of the speakers are already here. Friday, 12:45 pm – The conference officially kicks off at 1 pm, with opening remarks. Friday, 1:20 pm – In her welcome remarks, April Britski, Executive Director of Carfac, is providing an overview of the conference and the day’s events. Ms. Britski says the conference is intended as an “opportunity to connect the artists and legal communities”. Today’s session is entirely on the topic of legal clinics, in Canada and elsewhere. Tomorrow is on labour and copyright, then Sunday will involve a discussion on the artist’s resale right. Attendees are invited to comment, question and discuss, even when not presenting. There will be legal breakout groups on various other areas of interest – such as estates and tax issues. There are also a number of social activities and a gallery hop tomorrow. Friday, 1:27 pm – Grant McConnell, President and National Spokesperson for CARFAC, is now speaking on the importance of maintaining links between artists and lawyers. Visual artists are one of the “lowest paid professional groups” and need help. Friday, 1:30 pm – Alain Pineau, from the Canadian Conference of the Arts. Mr. Pineau is looking forward to moderating the panel tomorrow on copyright and Bill C-11. Friday, 1:35 pm – Keynote speaker Henry Lydiate, founder of ArtLaw and arts lawyer at the Henry Lydiate Partnership. His current consultancy portfolio consists of a wide variety of groups, including buyers and sellers. Mr. Lydiate says he also does consulting for government groups. He was invited to help with the development of artist agreements related to works at the 4th Plinth at Trafalgar Square, in London. One example of a piece that was put on at the Plinth is “One & Other” (2009), by Anthony Gormley. He also facilitated the exhibition of Ai Weiwei’s “Sunflower Seeds” (2010) at the Tate Modern. All this work is in a field that needs more art lawyers – so how can we lawyers and law students enter this area? As an example, Mr. Lydiate is running through his biography. He began by working at the Neighbourhood Law Centre Cambridge. Artists stopped by with their problems and Mr. Lydiate provided legal services at low or no cost. Then he researched to discover what artist legal clinics existed, and the Bay Area clinic became a model. California had significant legal protection through the California Resale Royalty Act of 1976. Also in the late 1970s, Mr. Lydiate got in touch with Carfac. The founder, Jack Chambers, established public exhibition payments as a legal right for artists in Canada. In 1978 to 1983, Mr. Lydiate set up Artlaw Services UK. The organization became so popular and significant in terms of the positive effect on artists that Mr. Lydiate was then asked to do something similar in Yugoslavia, Australia, and other countries. The legal needs of artists, according to Mr. Lydiate, are the provision of legal advice by lawyers with knowledge and experience of the visual art world, who specialize in dealing with such problems. Another issue is that artists often do not know now how to manage their own affairs as a business. Good art lawyers should know the trade practices of art business in order to be able to provide sound legal advice; about intellectual property rights; how auctions function for buyers and sellers, and what the legal recourse is in the case of provenance issues; business formation; censorship; confidentiality and privacy; contract formation and disputes on an international basis; debt; artwork recovery in the case of a bankrupt gallery; defamation; employment; export controls, imports, taxation and illicit trade; fakes, forgeries and fraud; gifts, whether absolute or conditional; health and safety issues; insurance; international private law; international public law; principals and agents; law of product liability; studio leases and licensing; personal and business taxation; wills and estates; zoning and planning; trusts and foundations; and tax-exempt organizations. However many art lawyers are not prepared to work in all these areas with the expertise required. They cannot simply help artists out of holes, and instead need to provide long-term business support for their clients. Example of Stephen Conroy, an artist from the ’80s out of Glasgow who became very famous. He signed a contract with a London Gallery without legal advice. The contract “tied his hands”, so he approached Mr. Lydiate, who got him out of the agreement. This was a successful artist who went through art school, but never gained the skills he needed to run his business and deal with legal problems. Artists’ lawyers can widen their practices to target more economic art business clients and the related needs. These can include art market professionals (agents, dealers, consultants and advisers); auctioneers and auction houses; buyers and sellers; investors and investment funds. Yearly, $60 billion passes through the art world – lawyers can have a piece of that. Moving into the area of trusts and foundations is possible, and important in dealing with retirement and pension matters. Lydiate set up a foundation for Picasso, and one for Henry Moore. In terms of legal history, he advises interested parties to look into the Mark Rothko trust case. Institutions and organizations need legal advice and support. UNESCO works with the re-patriation of artworks. Other organizations include ICOM, Unidroit, CISAC, WIPO. Art crime law enforcement agencies are also in need of lawyers specializing in art law. Interpol, for example, has an art crime unit. There are some notable art thefts. Public institutions are easy targets because they do not tend to secure the works. Some of the works are never found – such as Caravaggio’s painting “Nativity with St. Francis and St. Lawrence”. Niche practice areas for art lawyers are numerous. In the primary market: contemporary artists and antiquities – whether sold legally or illegally. In the secondary market: modern, impressionist, old masters and antiquities. Also Asia, as China is now the largest art market in the world, with a “massive amount of activity”. Hot art law topics include: the restitution of war looted art (Republic of Austria v Altmann, 2004; Foreign Soverign Immunities Act, 1976); illegally exported cultural objects (Italy v Marion True, 2005-2010); authentication, which is now required by artists; vetting at art fairs (TFAF Maastricht is the gold standard, but the other large fairs do not even have vetting commities); questions around immunity from suit for scholars, experts, catalogue raisonne authors; the contracts around public art (the destruction of “Tilted Arc” by Richard Serra, who then sued the US Government over it); import taxes (look into “Bird in Space”, by Constantin Brancusi, 1923); resale right; emerging practices and sales (how to sell a performance piece? ; how to sell illegally sited pieces, such as graffiti by Banksy? ); image appropriation and violation of copyright law. End of Mr. Lydiate’s keynote speech. Friday, 2:20 pm: Discussion on Artist Legal Clinic Case Studies, with the first speaker, Martha Rans. Ms. Rans is the founder of Vancouver’s Artist’s Legal Outreach (ALO). Ms. Rans says the whole point of artist legal clinics is to make advice accessible to as many artists as possible, in all disciplines. Canada is a large country but small population-wise, and that makes it difficult to maintain a private practice in art law, or an art clinic. We’re not a very prominent country in the art world. Therefore, Ms. Rans proposes a network of artist clinics across the country that can work together, taking advantage of expert lawyers in various areas of law. This model could be a successful method of getting legal advice to all artists who need it. ALO operates online, primary as a virtual clinic. It offers a weekly session for all artists living and working within BC. There are six lawyers who work in different areas. ALO also has a database with educational materials, including common forms. Artists generally have copyright or contract-related questions. ALO cannot deal with trademarks or patents issues. Q: How do the legal fees work at the clinic? A: Ms. Rans charges $200 an hour in her private practice. This is at the low end of rates for legal advice. ALO is not government-funded. Friday, 2:41 pm: Panelist Keith Serry, from Clinique juridique des artistes de Montreal (CJAM). Mr. Serry began his career as a freelance music journalist and became interested in copyright issues for creators. The musicians he knew who were successful were similar to small business people, and were more entrepreneurial than their less well off colleagues. Then as a law student, he pursued this idea with a group of friends and they developed the concept of a community legal clinic directed at artists. Rather than a geographic community, it would be the artistic community of the island of Montreal. His group spent time seeking funding. The central feedback they got was that unless the clinic model could be a proven success, no one would provide financing. So the group set it up on their own in 2009. There are three service lines: 1) a monthly one-on-one session with a law student. Questions must be related to their artistic practice. Within ten business days, legal information, not legal advice, is provided. 2) a workshops program where expert lawyers speak to artists. If artist groups provide the resources, they can arrange private workshops. 3) FAQs available online. The goal is to have CJAM operate like a legal clinic, with an executive director in an office. The infrastructure of the organization was never developed, and this will have to be dealt with in the future. Martha Rans comments on CJAM and says its success is due to taking the services to the artists, not expecting them to search it all out. Friday, 2:53 pm: Louis E. Greenwald, volunteer at California Lawyers for the Arts. Mr. Greenwald had worked for ten years as a volunteer attorney at the organization. It is very common for lawyers to be placed in volunteer positions or in apprenticeships at arts and culture organizations in the US. California Lawyers for the Arts provides alternative dispute resolution services for artists, on a sliding fee scale. The more money an artist makes, the more they pay – the fee for an income below $25,000 is $25/ hour. The organizations also provides basic clauses to be included in contracts; a referral service, also on a fee scale and aimed at making a good fit between the client and the lawyer; workshops presented by lawyers, not all of whom are in the organization; art law trips, a future one being to Cuba. Artists in California face a wide array of different challenges. One common problem in these tough economic times is that after a dispute, artists attempt to get their work back from a gallery. California galleries tend to include a forum selection clause in their standard artist agreements where any legal battle must be undertaken in Florida or New York. An artist therefore needs a lawyer to fight for them in preventing the need to go to another state. A similar issue arises where galleries go bankrupt, and artists seek the return of their art. Artists also sometimes have to fight for payment. Galleries need to make business decisions, and choose between paying the rent or paying the artists – and they tend to pay the rent. Mr. Greenwald says he often has to write demand letters in order to deal with such situations. Galleries are very sophisticated nowadays. The standard contracts they use are twenty to thirty pages long, and “extremely one-sided”. Artists are afraid not to sign the contract, as they fear being replaced with an artist who won’t make a fuss. Volunteer arts organizations therefore are critical in providing information on contracts, and how to deal with such clauses. Another issue Mr. Greenwald mentions is artists’ moral rights. In the United States, that refers to an artist’s right to prevent the intentional destruction, modification of the original work of art. Laws provide those moral rights to artists. When it comes to setting up a legal clinic, there are a few things that have been very successful: the organization has a database that includes detailed information on every volunteer attorney, including their practice area; an equitable referral service based on a set procedure; client intake is done properly, including determination of the adverse party in order to quickly assess any potential conflicts for the lawyer. Friday, 3:20 pm: Q & A for the Artist Legal Clinic Case Studies panel discussion. Q: Insurance issues, and the use of lawyers, not law students to provide advice. Q: Suggestion that showing a potential insurer a list of past cases will be a good way to gain the proper insurance. A – Louis E Greenwald: Farming out work to lawyers means only the individual lawyers or their firms need insurance, not the organization. Q: As an artist, how to know which gallery will treat you well? Q: How to set fundamental terms and conditions in contracts, and minimum standards for dealing with artists? Q: There should be consideration of how artists contribute to the economy in order to show governments strong arguments for funding of artist clinics. Another suggestion is for lawyers to respect the concept of pro-bono and seek to volunteer. Friday, 4:15 pm: Breakout group discussion on various topics. We won’t be live blogging during the discussions, and will be back with our live blog during the welcome and opening remarks at 10:15 am tomorrow. Tonight, attendees will go to a welcome dinner at the Lord Elgin, then there is a welcome reception and Visual Arts Advocacy Award presentation at the Ottawa Art Gallery. Last night there was an opening reception for both streams of the conference, lawyers and artists. The event presented Pat Durr with the Visual Arts Advocacy Award for her work as an artist, activist, volunteer and teacher in the Canadian arts scene for more than 40 years. David Yazbeck was also honoured for his excellent work representing CARFAC in their complaint against the National Gallery. It was a great event to kick off the conference! Saturday, 10:00 am - The room is filling up, people are getting ready for the day’s events to begin. Saturday 10:30 am - CARFAC National President, Grant McConnell, giving opening remarks. Expressing his excitement at having artists and lawyers working together for a common cause, to increase the status of artists in Canada. Barbara Gamble, Ottawa artist and CARFAC Board Member, explaining the upcoming renovations to Ottawa Arts Court, a rejuvenation of a former court house to a wonderful modern municipal art gallery. Very exciting for many who worked so hard to establish this gallery, a gallery Ottawa should be proud of. Being the home of the Federal Government, Ottawa is a great place to be discussing these important topics this weekend, says Gamble. Alain Pineau, director of Canada Council for the Arts, explaining the CCA’s excitement at being involved in the conference. This conference is an opportunity for the CCA to ‘experiment’ with their member organizations. Art and law are very high on the CCA’s agenda, because of the copyright reform (BIll C-11). Saturday, 10:40 am - First panel of the day, Art + Labour. Panelists are Lise Letourneau (visual artist and representative from RAAV), Charles Smith (Lecturer in Cultural Pluralism in the Arts at U of T), PIerre Tessier (visual artist and co-chair of the CARFAC/RAAV bargaining committee) and David Yazbeck (Partner at Raven, Cameron, Ballantyne & Yazbeck LLP). The panel is moderated by Melissa Gruber (National Advocacy and Communications Director, CARFAC). According to an arts advocacy group in the UK, only 57% of arts organizations offered to pay artists anything in the recession year of 2010. This panel will look at attempts to improve the situations in which artists work, best practices and attempts to set up best practice codes for the visual arts sector, bargaining, challenging the visual arts sector face, and tools and strategies we can use in labour negotiations. Charles Smith starting off the panel with “The Changing Face of the Arts in Canada, and Income/Labour disparities.” Smith has a long history of working in this area. Says it is, on one hand, difficult to talk about this topic because throughout his career not much has changed, but on another hand, we must keep talking about it because arts and culture shape and reflect society. We need it to tell stories, to explain realities and reflect the lives we lead. Smith looking at demographics in Canada and labour force disparities. For example, the Conference Board of Canada suggests that immigrants account for 33% of Canada’s economic growth in 2011. Aboriginal peoples comprise 2.4% of artists but ar 2.9% of the overall labour force or a downward swing of 0.5%. Racialized people comprise 11% of all artists but are 15% of the overall labour force or a downward swing of 4%. A challenge for artists, and arts organizations, is to engage artists who come from equity seeking groups. Saturday 11:15 - David Yazbeck, now speaking about traditional collective bargaining in labour law and comparisons/similarities between the Status of the Artists Act and strategies available for visual artists under this legislation. In theory, there are many similarities between typical labour law and the Act, for example, parties have the right to serve legal notice to bargain. This is what CARFAC and Yazbeck did again the National Gallery, and compelled them to bargain in good faith. There are provisions that require these notices to be served to the Labour Minister, which is meant for moderating purposes, to ensure that the process is working. What is most important about the Act is that it defines pressure tactics, which are things artists can do to instill pressure and help come to an agreement. Typical labour law tactic is a strike. Tactics are only as good as the pressure you can apply. Organizations like CARFAC cannot withdraw any services, based on the nature of their work and the agreements. Background about CARFAC’s complaint against the National Gallery, one of the key issues for CARFAC/RAAV was about copyright, and negotiating a binding minimum fee that would pertain to the agreement. This has been going on for 10 years… a few years ago after seemingly successful negotiations, the National Gallery got a new bargaining committee and suddenly refused to negotiate copyright, out of nowhere. This withdrawal was based on a difference in legal opinions, and talks were at an end. CARFAC/RAAV took the position that the National Gallery was negotiating in poor faith by doing that. After a lengthly hearing, the tribunal agreed that the National Gallery was in fact negotiating in bad faith. CARFAC/RAAV was successful! However, ever since the ruling, the National Gallery seems to disregard the ruling of the tribunal. Yazbeck talking now about the right to strike. Labour law is not all about providing the right to strike. It is actually about limiting the right to strike. You can only strike in certain situations, where you’ve negotiated and have been unsuccessful. Unfortunately, in the Status of the Artists Act, you don’t have the power to strike. Tactics that can be used include picketing, and demonstrations, but these are not necessarily successful, they are not hitting the Gallery in the pocketbook, which is most successful. Challenge: to work within the confines of the statute. The only thing Yazbeck can think of that might help is a provision that allows for binding arbitration. What the statute says, if you can show that your right to strike is not effective, you have a right to go to arbitration. The best option: to allow for a process to go to a third party to make a decision. Going forward with this case: CARFAC/RAAV got a very creative ruling from the tribunal. CARFAC/RAAV asked for, and got, an order from the tribunal, to monitor the process of the collective bargaining. This would allow the tribunal to jump back in, if need be. However, immediately following the tribunal’s decision, the Gallery sought a stay in the proceeding, in court and sought a judicial review of the decision. Fortunately, the court that heard the stay motion said we won’t grant you a stay order, but also didn’t want to make a decision on the postion. The court agreed to give an earlier hearing date. CARFAC/RAAV will be participating in the judicial review in September and hoping for positive results. Saturday 11:30 - Lise Letourneau explaining that artists right now are in a very united, exciting place, following what has happened with the National Gallery. Lots of arts organizations are rallying together to support CARFAC/RAAV. This is a very important time for artists. RAAV has tried to come up with solutions to this issue, because they can’t wait for the courts to solve the problem. RAAV is working on creating a code of best practices for artists. For example, CARFAC Saskatchewan created a code of best practices. This demonstrates that there are way to solve problems besides using the law. RAAV because translating CARFAC Saskatchewan’s code so that it would reflect Quebec law. RAAV has created a series of documents, you can get from their website, that can act as resources for artists. For example: guides about exposition fees and how to address donation requests from artists. In the future, there will hopefully be another document about the will and estates that address unique needs of artists. Letourneau talking about the process used to create these documents. If RAAV wanted the documents to be adopted (as has been done in Australia, which doesn’t have the Status of the Aritsts Act) they will have to work together with lots of committees, which they are currently working on doing. They met with other consultants, for example, artists and galleries, to rework the documents in a way that works for them. So the final versions of the documents, are documents that have been adopted by all parties. Another document RAAV is working on is a typical contract, that they hope can become a model for different galleries in Quebec, and maybe even the rest of Canada. What is important about these documents is because they are not created just in favour of artists, but for all parties. Letourneau recommends that all branches of CARFAC/RAAV should work together to create their own versions of these documents, so that all provinces in Canada can have their own versions of Best Practices documents, which will hopefully help immensely in future labour negotiations. 4. Whether or not he is bound by any relations of employment or association. Negotiating on behalf of artists, for example, in the National Gallery case, is important as part of his role as a professional artist, say Tessier. As creators, artists are the best negotiators on behalf of artists. This sort of work takes patience and dedication, but it is important. It is a form of solidarity, this is what he has learned the most from his role as president of RAAV. We have laws to protect the public and creators, laws are created to harmonize society. The problem is that it is disappointing how hard artists have to work to be respected for the work that they do. Saturday, 12:00 pm: Melissa Gruber opening the floor to questions from delegates. James Fletcher, sculptor from Vancouver: Do we need to look at the question of why the public takes advantage of artists who are marginalized? Or is it because these artists undervalue themselves? Or do we even need to address this or should we present a united front, as a multicultural group? David Smith: How do we talk about diversity without talking about concrete ways to achieve diversity? We need a commitment, and a conversation, to bring about solidarity and inclusiveness. We need to go to marginalized artists, to go where they meet, instead of saying to them ‘come to us.’ Many people are shocked to hear there is such a thing as the Aboriginal group of seven. We need collective groups like CARFAC to create this discourse, and promote marginalized groups. Comment from member of the audience: Another issue is transparency… what we need is CARFAC supported/certified gallery. If I know that CARFAC endorses a gallery, because they treat artists well, I will be more inclined to go there. Why wait for the government to do it, let’s do it. Question from Grant McConnell: Thank you panelists, this is a great way to kick off the weekend. My worry is, that in a weekend like this, we say someone else needs to fix this problem. We talked about it, now someone else should fix it. What can the individual, as an artist in their studio, do? Lise Letourneau: I think that individual artists, need to use the artists created by RAAV and CARFAC Saskatchewan for example. Artists need to be more prudent in their business practices. Make sure you sign a contract, be reluctant to waive your copyright. It is very important to use the tools that have been made available to them. Consult with CARFAC/RAAV, and don’t wait until you’re in trouble, do it before you enter into an agreement to protect yourself. Question from Daniel Urban, CARFAC member: The issue of censorship bothers me a lot, I feel that Canadian artists cannot realize their potentials because of censorship, and their reputations are tarnished because of censorship. Because of censorship, I find that my reputation as a Canadian artist is damaged because the public is not informed, and Canada needs visual artists. Charles Smith: The censorship that I look at it what do we get in terms of education (in my position as a professor). Every year I ask my students, in their formal education, how many artists that are aboriginal or GLBTQ artists, have they had? To me, that is a kind of censorship. The Eurocentric paradigm is a form of censorship; it does not have room for other perspectives. I think we need to look at censorship in a broader paradigm. Question, James Smith on behalf of NDP Party: On the topic of best practice documents, do you see a role in the Federal government in the preparation of these documents? Lise Letourneau: Of course there is a role, if we have the support of the government in preparing these documents, then we could maybe avoid disputes in the future such as the National Gallery case. The federal government has sway on their institutions, such as the National Gallery. If the government were to say that they support improving the status of artists, that would be great! Charles Smith: We need to move away from the term ‘best practice’ to ‘evidence based practice’ – that means, looking at what is working. Saturday, 12:30 pm: Break for lunch, conference to resume at 1:30 with the Copyright panel. Saturday, 1:30 pm: Second panel of the day, Copyright: the fair, the unfair and the artists left behind’ beginning now. Panel moderator, Alain Pineau (director of Canada Council of the Arts) giving opening remarks about the effect of the new copyright bill (C-11) for individual artists. C-11 is the 5th attempt by the Federal government to amend the Copyright Bill. Saturday, 1:45 pm: Roanie Levy , director and general counsel for Access Copyright is the first panelist of the afternoon. She is talking about the ‘imminent’ changes to the copyright bill. She was hired 11 years ago by Access Copyright to address the imminent changes to the copyright bill. All of the exceptions in the Bill are quite ill-defined. Many of the exceptions are currently uses that are being paid for under the current Copyright Act. Education is one of the exceptions to the Bill, added under the fair dealing provisions. Education is not defined in the Act. Just because something is used for education purposes does not mean that something is fair. Fairness is also not defined in the Act. There is some judicial discussion of what is fair, but this is not stable. What is fair under the new Act will undoubtedly lead to extensive litigation. There is also the display exception. The exception allows for any necessary reproduction in order to allow for display of the work. The question is, what qualifies as display? Unlike fair dealing, the display exception does not have to fair use, it is an absolute exception. The only trump card in this exception, is if the work is commercially available in the appropriate format. Another exception is the Publicly Available Materials on the Internet exception. If you have uploaded one of your works onto the Internet and you haven’t locked it, then an educational institute can use your work without providing you notice or providing you credit. Saturday, 1:55 pm: Aidan O’Neill will be presenting us with the other side of the coin presented by Roanie. O’Neill has been practicing in front of the Copyright Board as a litigator for the part 25 years. O’Neill going over case-law as it relates to the C-11. First case, SOCAN Tariff 22, an Interne tariff that had to do with fair dealing for example, Napster, iTunes etc. When people listen to 30 second previews of songs, the Copyright Board said this did not infringe fair dealing as research and therefore, nothing had to be paid to SOCAN. SOCAN was arguing that they should be paid for these 30 second previews. Another case had to do with teachers making photocopies to distribute to students in their classroom. At this point, education was not an enumerated purpose under fair dealing exceptions in the Copyright Bill. Access Copyright claimed that they should be remunerated for these copies. Users (teachers) said they should not have to pay for these because it should be considered as fair dealing. The Supreme Court of Canada has not come back with a decision on this case yet. Saturday, 2:10 pm: Ysolde Gendreau presenting ‘Living in the Grey.’ One of the new fair dealing exceptions, Parody/Satire, in bill C-11 is not necessarily a new exception for Canada. User-generated Content, however, is a much newer concept for Canada because of new technology. When we are assessing fair dealing exceptions in Canada, there is a test to be passed to qualify. Infringing copyright through parody or fair dealing, for example, is not necessarily fair. However, bear in mind, if you aren’t using a significant part of the work, you aren’t infringing. Before C-11, the concept of parody was not included in the existing fair dealing exception of Criticism. In comparison, in the United States, parody is included in the fair use provision of Criticism. The Oxford Dictionary defines Parody as: an imitation of the style of a particular writer, artist, or genre with deliberate exaggeration for comic effect. This is not necessarily the case for satire. Satire can be parody, but they are not one and the same. They are two separate things under the law. Gendreau has lots of examples of art works that bear remarkable similarity to one another but do not qualify as infringing for various reasons. Saturday, 2:30 pm: Steve Seiferling will be talking about Technical Protection Measures changes in Bill C-11. In some ways, copyright has always been at war with technology. Let’s go back to what is the purpose of copyright. It is a balance: granting to creators economic and moral rights in exchange for sharing their works with the public. According to Seiferling, C-11 is actually a lawyer’s bill, not a consumer’s bill, because it will generate a lot of litigation. Copyright is generally a’negative’ right – it is only a problem if I enforce it. Problems with copyright is that many creators cannot afford to enforce their rights. There is no real easy enforcement mechanism. Technological protection(TPM) is a different type of DRM strategy. This protection restricts access, or controls access, to a piece of work. For example, a watermark would be considered a TPM. C-11 says you cannot circumvent or remove TPMs. You cannot own a device that is designed for the circumvention of TPMs. Unfortunately, access to justice for these issues such as copyright for artists is hard to find. Groups like CARFAC are a great way to get access/help. Other ways you can protect yourself, when you upload your work onto the web use a low resolution. If a user wants a higher resolution, charge them for it. What about Pinterest? Works are pinned to the site, and are sometimes copyrighted. In the terms and conditions on the website, users are responsible for the images they pin, limit the liability of the site, and are responsible and liable for any litigation and other legal issues that may arise. Artists who see their work on the site have some recourse. In the US, the copyright laws permit ‘safe harbour’ unless the copyright owner provides notice. What are ways to enforce your copyright in Canada? Notice and Notice. Under notice and notice provision, you see you image for example on Pinterest. You send a letter to Pinterest and say ‘that’s my copyright, here is legal language to prove it’ in Canada, their obligation is to notify the person that put it up and that person can decide whether to take it down. In comparison, in the US they have notice and takedown – once you are notified that something is infringing copyright you are required to take it down. In Canada, once you have provided notice you are done, they have fulfilled their obligation. If the person who puts it up doesn’t take it down, then you can go after them. Saturday, 2:50 - Copyright panel now open for questions. Question: How can we, as a visual arts organization (CARFAC/RAAV) prepare visual artists to live with the new Copyright Act? Answer (Roanie Levy): Use technology. The answer to the machine is in the machine. However, we can no longer rely on Copyright Act to protect Copyright. Stay up to do date on the current state of the law, share your documents of ‘best practices’ and don’t be afraid. Question: Photography, as of this moment, has been treated differently under the Copyright Act. Has this been addressed in C-11? Answer: Yes, the term of copyright for photographs is now the same as other works (life of the artist plus 50 years). Saturday 3:30 pm: Up now, gallery hop! We will be back tomorrow morning with more ART + LAW content. Sunday, 10 am: Last night we attended a reception with Spins and Needles, a mobile dance party with an incredible DJ and hands-on-art projects. Attendees were given all the materials to make their personal manifesto, whether art or law oriented. CLaw’s favourite part was cutting up old ‘Horizon‘ magazines from the ’60s and ’70s to add into collages. Today executive member Kat is live blogging on the CLaw website, and Michelle is tweeting. Sunday, 10:15 am: President Grant McConnell’s opening remarks thank everyone for coming to the conference – whether they’re from Ottawa or from much farther away. Sunday, 10:20 am: The first panel today is on the Artist’s Resale Right, with April Britski (National Executive Director, CARFAC), Louis E. Greenwald (Partner at Choi & Greenwald), Henry Lydiate (Partner at The Henry Lydiate Partnership LLP, Creative Arts Business Consultancy), Stephen Ranger (Vice President, Business Development, Waddingtons.ca). Moderated by Don Monet (Visual Artist and Owner/Gallerist at Cube Gallery). Don Monet, the moderator, provides a brief introduction to the concept of ARR, which is law in California, the UK, and Europe among other jurisdictions. 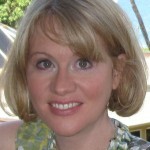 Sunday, 10:21 am: April Britski of Carfac is the first speaker. The ARR pays a royalty to artists on commercial secondary sales of their work. As the first sale does not usually reflect the full value of the work, ARR would compensate artists for later sales. While the art market in Canada is growing, artists are losing out on profits from those sales. Ms. Britski provides a few examples of secondary sales, many of which are of Inuit art. ARR puts visual artists on a level playing field with other creators of intellectual property. The actual paint on the canvas loses value over time, so the true value in the piece is in the copyright, as it is for songs, works of literature. ARR was first introduced in France in 1920 and exists in at least 57 countries world-wide. Although Canada was on the forefront of artists’ rights by being the first the have the exhibition right, it will be late in the game for ARR. The right would apply to all sales in Canada and any sales of Canadian art abroad, in jurisdictions where ARR is present. This is critical for fulfilling reciprocity agreements, particularly in the context of the trade negotiations between Canada and the EU. The UK has had the ARR since 2006. 10.7 million pounds have been paid to nearly 2000 artists. The art market continues to grow, at a rate of 23% per year. ARR accounts for 0.04% of the total UK art market. Australia has had the ARR since 2010. $600,000 has been paid from more than 3.600 sales of art to 380 artists, 60% of whom are Indigenous peoples. Carfac recommends the term for ARR payment be the same as copyright (the life of the artist plus 50 years). There should be a $1,000 minimum qualifying sale price, 5% flat royalty rate, no cap, and joint liability. It does not apply to first sales or between private individuals. ARR should be administered by CARCC, as they regularly handle the negotiation and payment of fees to artists for use of their work. Some MPs endorse the ARR, and some parties have officially endorsed it. The committee that has looked at the proposed bill has recommended it be re-introduced as a private members’ bill. It is likely to be passed some time in the future. Sunday, 10:37 am: The next speaker is Louis E. Greenwald, a lawyer from California who also spoke on a panel this Friday. See here for full text of the ARR statute. ARR applies if the secondary sale takes place in California, or if the seller resides in California. The artists then receives a royalty of 5% of the gross price. This payment must be made by the seller or the agent of the seller. After a sale, the seller of the art or their agent has 90 days to locate the artist and pay them. If they are unable to do so, the payment must be made to the California Arts Council, which administers a program. They will attempt to seek out the artist within 7 years. If they are unable to do so, the funds are used to purchase artworks for the state of California. Artists are also permitted to bring a lawsuit to enforce their rights, if they have not been paid. The statute of limitations is 3 years from the sale, or1 year from discovery of the sale (whichever is later). If successful, the artist is then entitled to the royalty and their legal costs. ARR only applies in California to sales above $1,000, where the sale is for more than the previous sale of that same work. Another exception is to certain types of work – fixtures are not included, for example. There have been some new additions to ARR, after a decision on May 17th that deemed the statute unconstitutional. ARR has been in existence since 1976, but the Court found the statute breaks the commerce clause of the US Constitution, where one state cannot enact a law to regulate the commerce of another state. The Court found the language of the statute problematic because where the artist and purchaser reside outside of the state of California, and possibly even use an auction house outside of the state. Even though only the seller is in the state, ARR applies. However the ruling will likely be appealed, and in Mr. Greenwald’s opinion, can be easily changed to reflect the concern over commerce. Also, the federal government will probably pass a federal ARR Act sometime soon, and this will make the issue moot. The federal Act aims to have a 7% royalty applying to auction houses that, in the prior year, sold $25 million or more in gross sales. Auction houses selling solely online are exempt. 3.5% of the royalty goes to the artist, and 3.5% goes to the federal government to purchase art. Sunday, 10:55 am: Stephen Ranger of Waddington’s is the next panelist. Waddington’s organized the first contemporary auction of Canadian works. MR. Ranger believed there needed to be a legitimate secondary market. The auction house therefore established an acquisition fund, in order to purchase works and preferably place them in public institutions, where they can be seem and grow in value. Collectors, however, are not as interested in letting go of their contemporary pieces. Although Waddington’s only required a minimal consignment fee, some dealers and artists were not interested due to the cost. Mr. Ranger believes that adding an ARR royalty onto the cost would be difficult. The first step should be to establish a legitimate resale market in Canada for contemporary works. In its current form, ARR works best for artists who have achieved success, and can be an impediment to emerging artists, as it makes sales less attractive. Auction houses have not been part of the discussion up until now, and are a critical component. Mr. Ranger is glad to be here. Sunday, 11:08 am: Henry Lydiate, also a speaker from Friday’s panels and the keynote, is the next panelist. Mr. Lydiate is a lawyer from the UK, and you can find some of his work online at ArtQuest. Mr. Lydiate explains there are a number of intellectual property rights that apply to artists and share the same rationale as ARR. Since this is the case, why is ARR even a question? It should be extant. For example, with music, any use of a piece results in payment to the musician. Economic use of their work leads to a share in the economic benefit. Mr. Lydiate also provides examples from translation of a literary work and public performance of a film. The cheapest way to acquire a work of art is to purchase it directly from the artist, and that should be our starting point, says Mr. Lydiate. The artist should not only be paid if there is an economic profit made off their work in the secondary marketplace. When it comes to enforcement, it is very important to think about the legisaltion on a national basis, but also in a global context. The Berne Convention for the Protection of Literary and Artistic Works requires signatories to have ARR. Although it is not mandatory, it soon will be, and Canada should get started. Even if there are not a lot of artists who will benefit from ARR, implementation of the concept will lead to economic aid for all artists. However, Mr. Lydiate says this is a long haul. Carfac should be concerned with the next 20 and 30 years: not only passing ARR legislation, but implementing it, maintaining a strong structure, and ensuring other countries pass similar legislation. The only negative result, according to secondary market sellers in the UK, has been increased administrative costs. There is no proof for this statement. Mr. Lydiate went to the National Gallery yesterday. He refers to the artworks Van Gogh was influenced by as he was art-dealing. A charcoal drawing of a farmhouse by Millet drew Mr. Lydiate over, because Millet is why we have droit de suite (ARR) at all. Millet lived in Paris and was so poor he never was able to support his family on his art. His wife died from working so hard to support their children, and finally Millet died a pauper. He was widely respected by his colleagues but never sold. After his death, a reporter discovered that many of his works were re-sold at an auction and achieved record prices. He then met Millet’s children, who were orphans and begging not far from the auction house. So the reporter wrote a story about it all, and it led to public discussion as to how it was possible for others to profit off an artist. The moral is that we must not forget droit-de-suite is about the family of the artist. In France, it lasts for 70 years after the death of the artist. Another issue is that not only certain artists profit off ARR. It is obvious that some artists will gain the largest amounts, as their works sell for more. The important element is the thousands of artists who receive small amounts to supplement their incomes. According to all the independent studies on the subject, there have been no negative effects and only positive – even for buyers and sellers. Sunday, 11:29 am: Don Monet refers to the bottom lines costs for his gallery, and for Mr. Ranger’s auction house. In the end, sales are about the love of art, and so ARR should not be the problem – instead, manage business better. Sunday, 11:30 am: Q&A on the ARR panel. Q: Artists asks what happens to resale right after death as an artist? and who must make a sale for ARR to apply? A: It will apply until the copyright runs out – so 50 years after death. And it must be a secondary sale. Q: Lise Letourneu asks for more on the private members’ bill and how ARR legislation will finally be passed. Q: An immigrant artist asks whether ARR will apply to art immigrant artists have created in their homelands and then bring to Canada? A: In the UK, it applies so long as the other requirements of the law are fulfilled, particularly that the seller is in the UK. Also, if the work is by an EU citizen, it does not matter where the work was made, so long as it is by the citizen. A: The recommendation in Canada will be that it apply to all Canadian citizens. A: In the US, the proposed federal legislation will apply to anyone domiciled in the country. Q: From representative for NDP MP – How is ARR a tax? A: Mr. Ranger withdraws his use of “tax”. Q: Comment by artist on the potential for “leakage” if ARR legislation is brought in. Q: Comment from Charles Smith to suggest inclusion of artists domiciled in Canada, not only citizens. Q: Artist from Nunavut comments that ARR should exist in Canada. Q: Gerald Beaulieu, artist and Carfac board member, comments that as copyright is intended to confer an economic advantage, there should be the use of ARR to confer an advantage in the commercial marketplace. As of now, visual artists only benefit from exhibition and use. Q: Grant McConnell comments to say the goal should be for artists and sellers (such as Mr. Ranger and Mr. Monet) to work together. ARR is a value add, and everyone can get behind it. Q: Artist comments that an Aboriginal artist she knows from Manitoba sells his work for a few hundred dollars and the purchasers then re-sell for thousands. How do we support artists like him, or others who need a better economic lifestyle? Q: Artist and lawyer comments on the need for supporting artists. Q: Artist and board member Barb Gamble comments to tell artists not to hand over their copyright to collectors – it should be retained by the artist. So she asks what the recourse would be for artists who have handed over the copyright to receive ARR. A: Although an artist may give up all rights, ARR is inalienable and unassignable. The panel is over, now for lunch! The Creative Law Society is very excited about the upcoming Art + Law National Conference for Visual Artists and Art Lawyers being put on by CARFAC in Ottawa on June 8-10th, 2012. When CARFAC first told the Creative Law Society about the conference we could not be more excited, and a number of our members will be volunteering at the event. Law students from any law school are invited to attend as well. It will be a great opportunity for students to learn more about this area of law and will bring together lawyers with experience in arts and entertainment law, ranging from copyright and contract law, to estate planning, tax, and labour from Canada, the United Kingdom and the United States. The conference will consist of panels on topics including artists’ legal clinics, copyright, labour. As well as panels and discussions there will be many social opportunities such as a gallery hop downtown Ottawa on June 9th. This is the first conference in Canada that brings together artists and lawyers, although similar conferences occur regularly abroad, such as the Volunteer Lawyers for the Arts in the United States. What: CARFAC is inviting visual artists and arts lawyers from across Canada to come together and discuss the intersection of art and the law. CARFAC’s work involves educating artists about their economic and legal rights. Many of the questions that our artist members call us about are legal in nature – everything from copyright to contract disputes and tax issues. This year’s conference will explore the unique challenges faced by artists and arts organizations when things get legal. The conference will have two streams – one for artists and one for lawyers. Each stream has a different schedule and registration – some events will overlap, but the two groups will split for specialized panels and breakout groups. Law students are also invited to join. For more information about each stream (artists or arts lawyer), information about the schedule, and how to register, see the conference webpage.